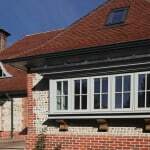 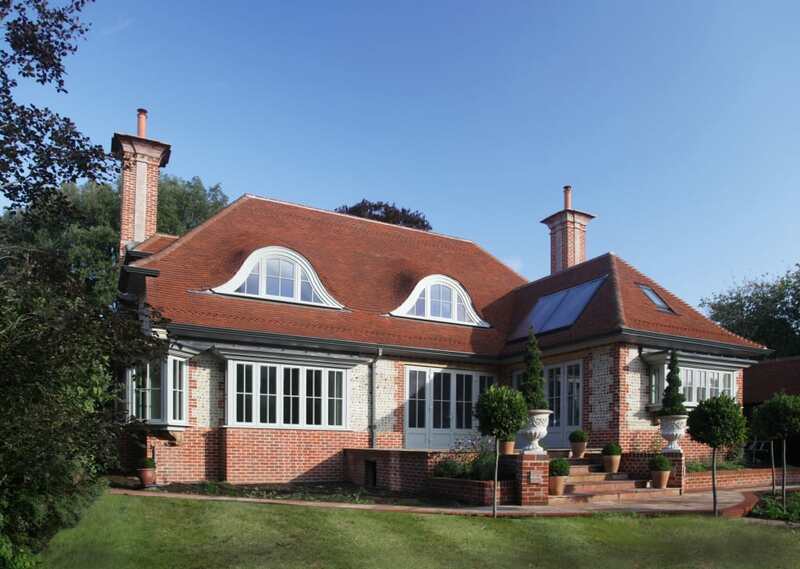 The clients were very keen to have triple glazing but a lot of the triple glazing suppliers we explored couldn’t provide the interstitial glazing bars, eyebrow windows or warranties required for the project. 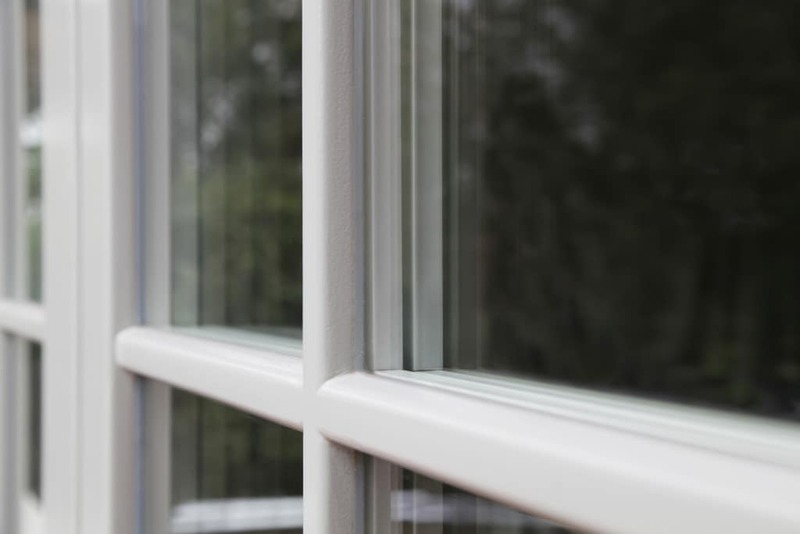 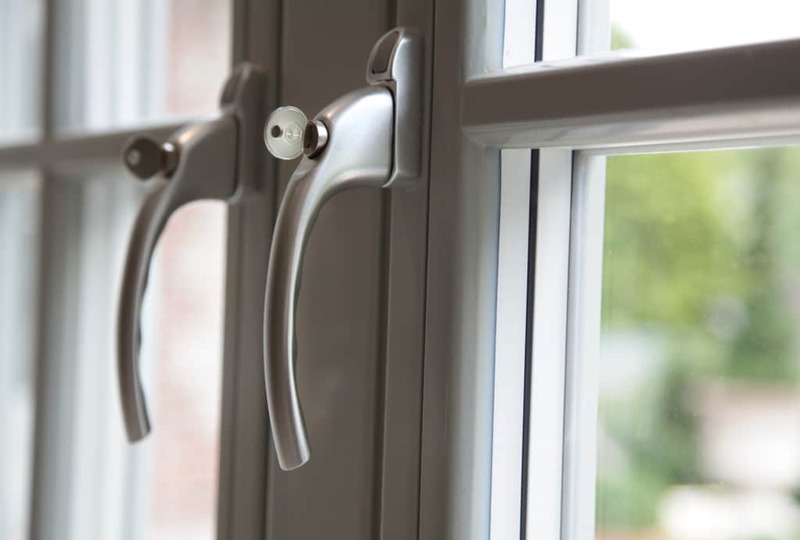 The PERFORMANCE range was able to deal with these technical requirements, whilst also offering high performance triple glazing at a good price. 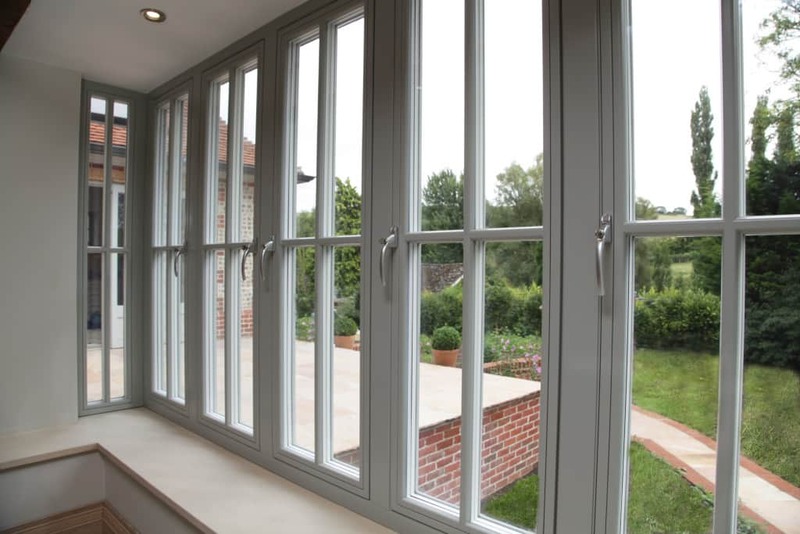 The PERFORMANCE windows and French doors are very impressive. 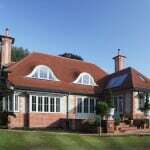 The clients and construction team have been very pleased with them. 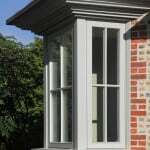 Passers by remark on them and we’ve already had expressions of interest in the windows from other potential clients in the area. 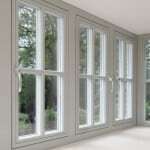 I’m sure the photographs of the project will lead to further interest in the PERFORMANCE range. 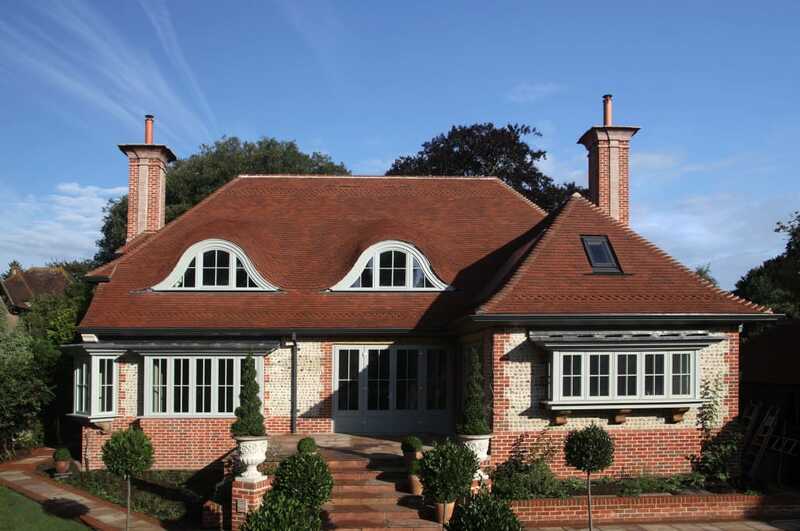 An Architect & Project Manager collaboration have just completed a newbuild Arts & Craft style house in West Sussex. 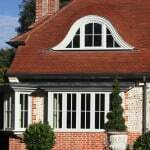 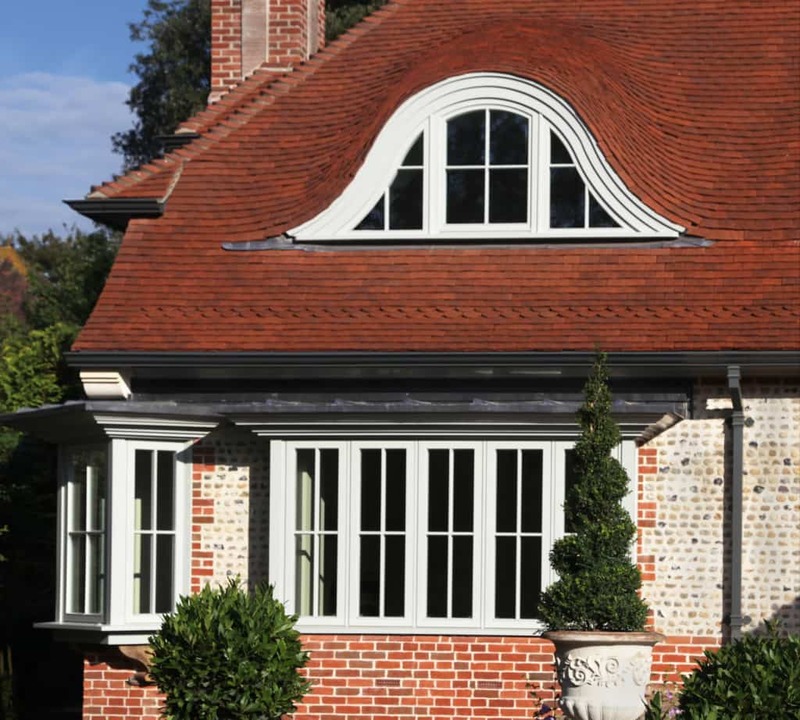 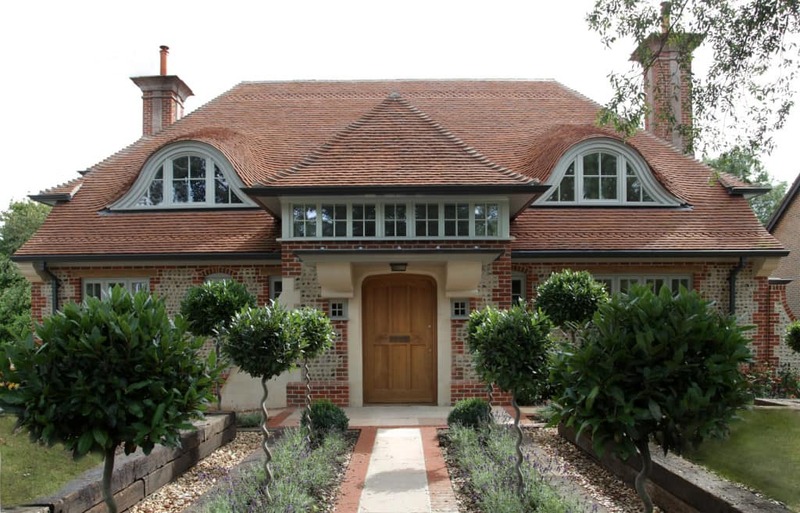 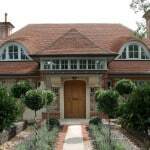 Project Manager Chris Hales and Architect son Jason Hales have designed and built the project in the Arts & Crafts style and Sussex vernacular, using a combination of flint and brick walling. 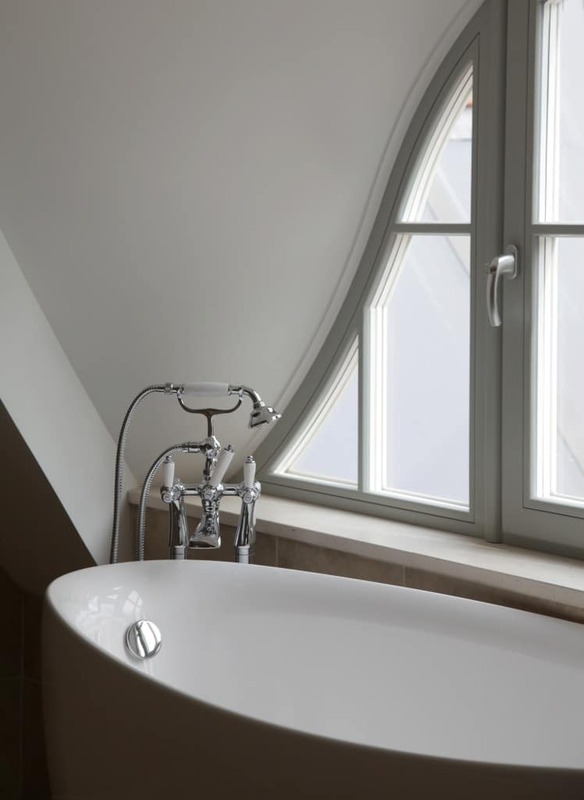 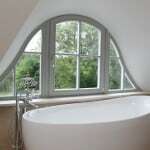 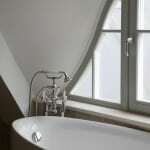 Of particular architectural interest are the ‘Eyebrow windows’. 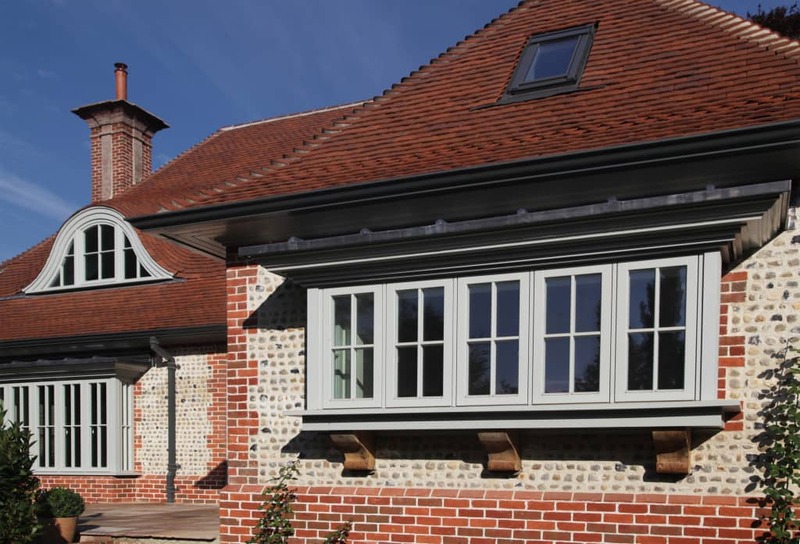 Energy efficiency has been an important aspect of the project, with supplementary insulation in the walls and roof and triple glazing throughout. Renewable technologies, including solar panels and air source heat pump, have also been installed. 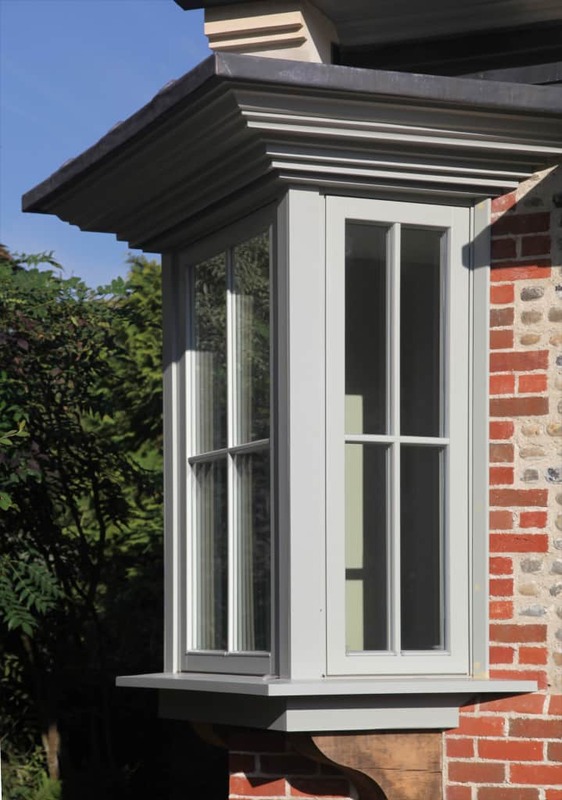 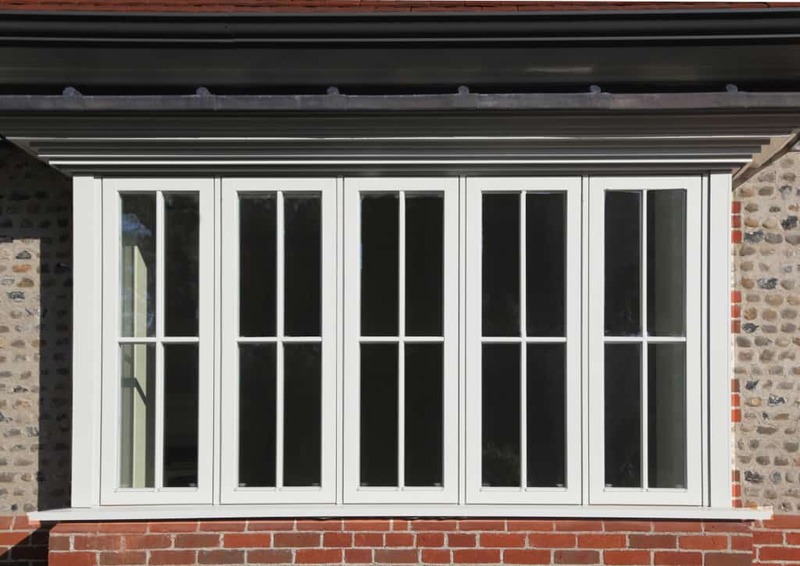 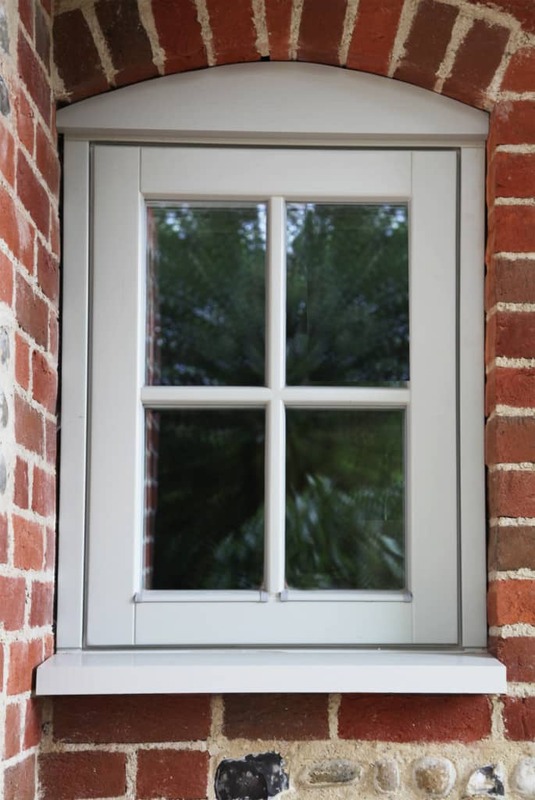 Green Building Store’s PERFORMANCE triple glazed windows & French doors were specified as a cost-effective triple glazing option that was able to meet client and various technical requirements for the project. 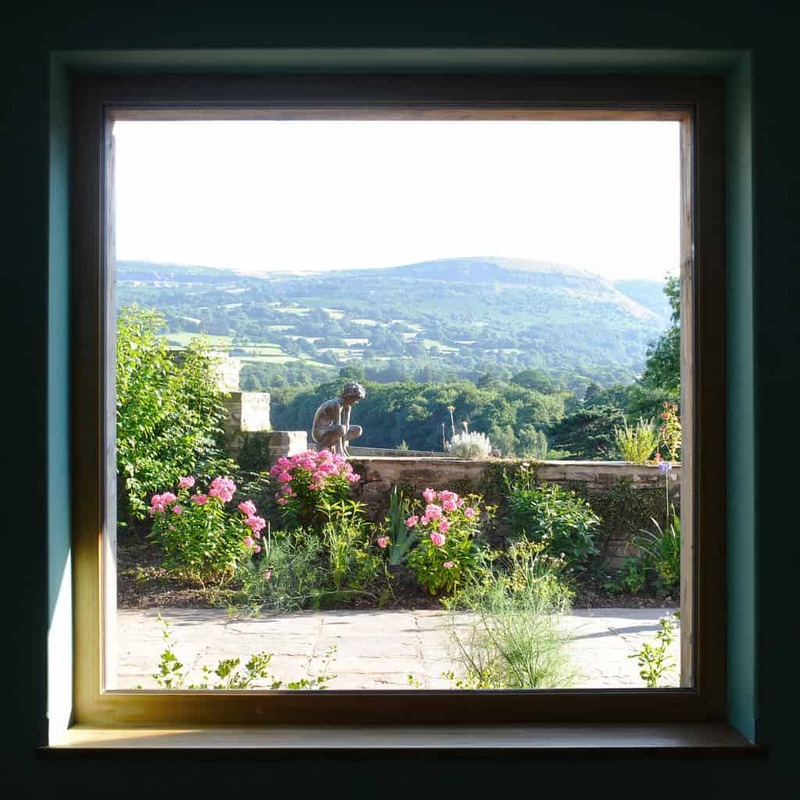 The project required interstitial glazing bars (avoiding the ‘parallax effect’, where gaps in the glazing bars can be viewed side on), egress hinges on windows and the ability to create a triple glazed version of the ‘Eyebrow’ windows in the roof. 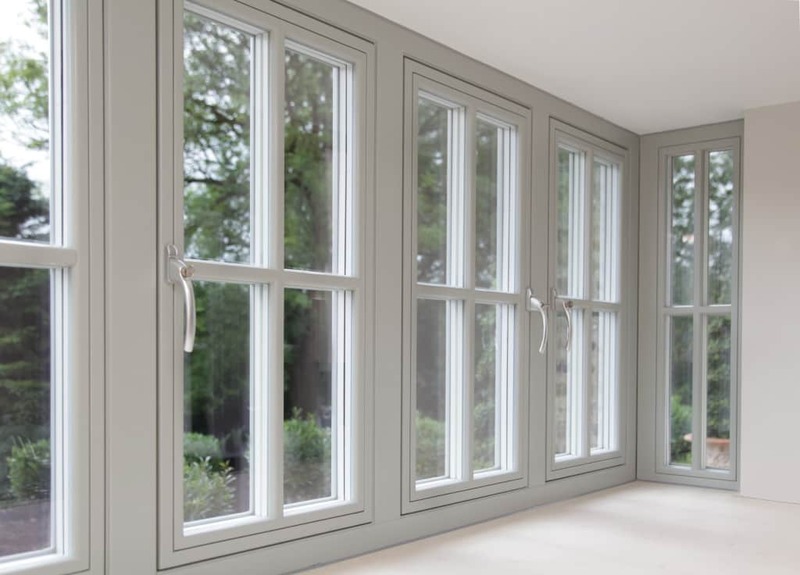 Project Manager Chris Hales commented: “The clients were very keen to have triple glazing but a lot of the triple glazing suppliers we explored couldn’t provide the interstitial glazing bars, eyebrow windows or warranties required for the project. 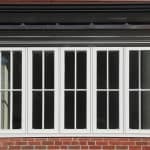 The PERFORMANCE range was able to deal with these technical requirements, whilst also offering high performance triple glazing at a good price”. 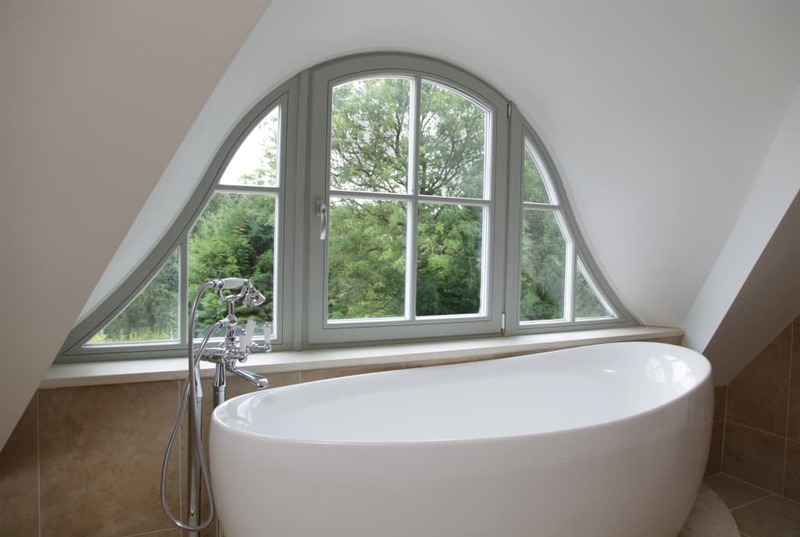 The PERFORMANCE factory in Lithuania were able to make the eyebrow windows by directly transferring the architect’s CAD drawings into their fabrication & cutting machinery to ensure absolute accuracy and correct sizing. 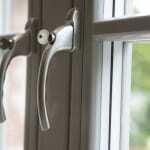 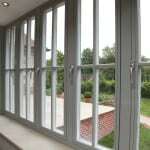 Chris added: “The PERFORMANCE windows and French doors are very impressive. 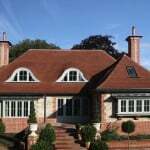 The clients and construction team have been very pleased with them. 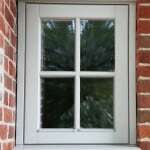 Passers by remark on them and we’ve already had expressions of interest in the windows from other potential clients in the area. 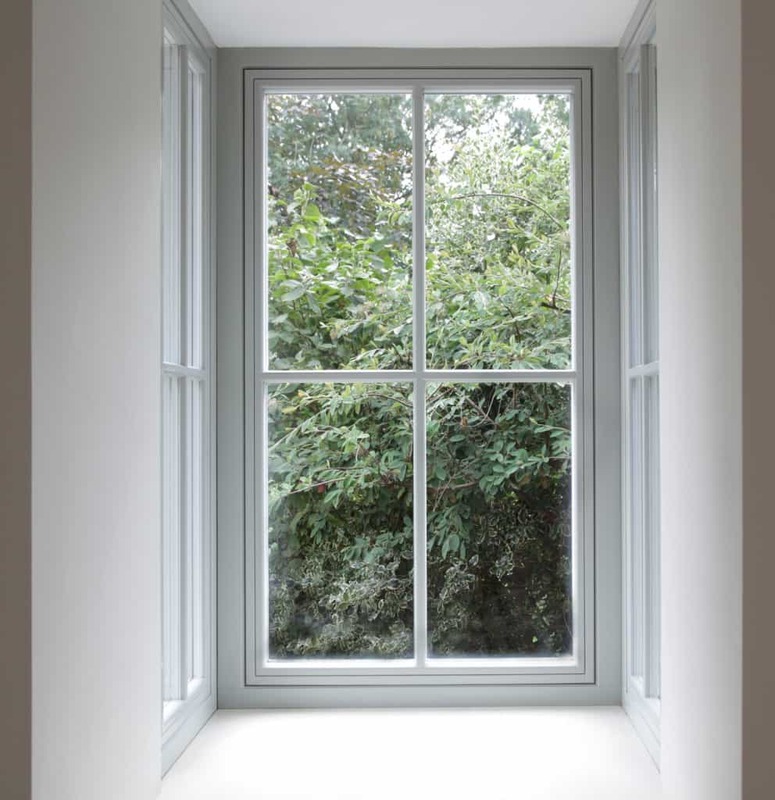 I’m sure the photographs of the project will lead to further interest in the PERFORMANCE range”.